PBS is setting up a 24/7 television channel and web stream for its kids shows. The channel, to be named later, is an expansion of its existing PBS Kids franchise, which includes daytime programming and an on-demand streaming service. The theory goes something like this: Yes, many kids are accustomed to watching shows on their own schedules, but there's still a market for a traditional "live" feed of their favorite shows. Sometimes viewers want to "lean forward" and choose what to watch, Netflix-style; other times they want to "lean back" and let someone else program a channel for them. PBS Kids already offers the former option on its web site; now it'll offer the latter option too. The publicly-funded broadcaster focuses on reaching low-income families who may not have high speed Internet access. To that end, the new channel will increase access to children's programming over the public airwaves. PBS stations across the country will be able to broadcast it as a digital subchannel (If your main PBS station is 9.1, the kids programming could be on 9.2.). Some of PBS's bigger stations already have something like this for children's programming, but most do not. The channel will also be streamed on the PBS Kids web site and app, which opens the door to Internet-connected TVs through Roku, Apple TV, Chromecast and other streaming devices. PBS executives announced the channel on Tuesday. It will launch later in the year. 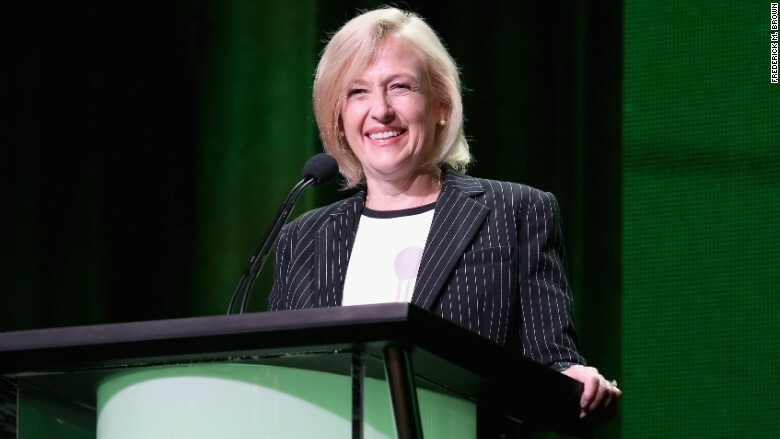 "Given that 54% of all children nationwide do not have the opportunity to attend preschool, providing access is a critical element of our public service mission," PBS CEO Paula Kerger said in a statement. As any fan of "Reading Rainbow" knows, PBS stations already carry shows for kids during the daytime. But the organization wants to fill a need later in the day — "during primetime and other after-school hours when viewing among families is high," it says. PBS increasingly finds itself in competition with streaming services like Netflix and other entrants like HBO, which recently struck a deal with Sesame Workshop to carry new episodes of "Sesame Street." The HBO deal lets PBS stations show the episodes nine months later. PBS says the forthcoming channel will have a wide variety of other shows, including "Daniel Tiger's Neighborhood," "Wild Kratts," "Dinosaur Train," and "Odd Squad." Down the road, PBS is planning to add interactivity to the live stream, letting viewers switch from a TV show to an educational game and then back to the show. There was a PBS Kids channel once before, in the early 2000s, but it was not widely distributed. PBS eventually partnered with Comcast to relaunch it as a channel called Sprout. PBS exited Sprout in 2013.